"Capt. 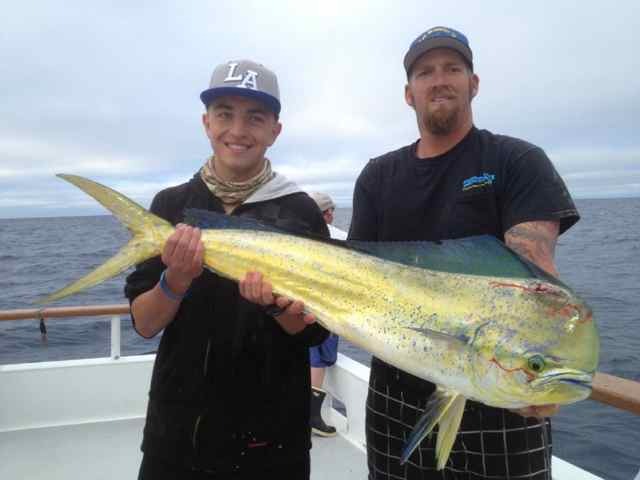 Aaron called in with 74 bluefin, 79 yellowtail and four dorado for the day," (July 24), reported the office for Searcher. "Boat is due in at 7 am. 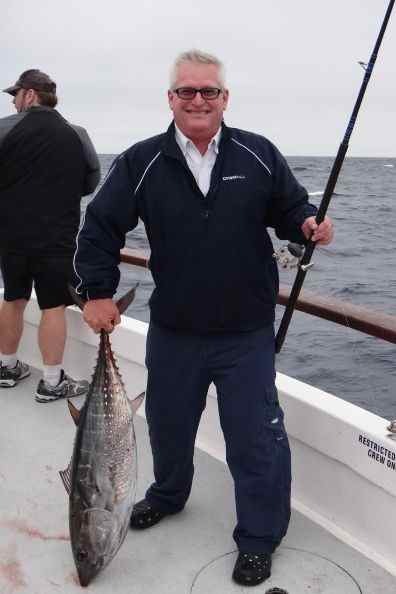 The day just went on and the fish kept biting. After our morning drift we were stringing kelps together, catching fish on every kelp that we stopped on. It was a very action-packed day and the weather is coming down a little."